To import the demo content you’re going to go to the theme files you have downloaded from ThemeForest, go to the folder dummyData, find the file demo_content.xml, then head back on the WP Dashboard, Appearance/ Import Demo Content choose the file you have found above, then click Upload File & you’re done. How to import the WordPress content? 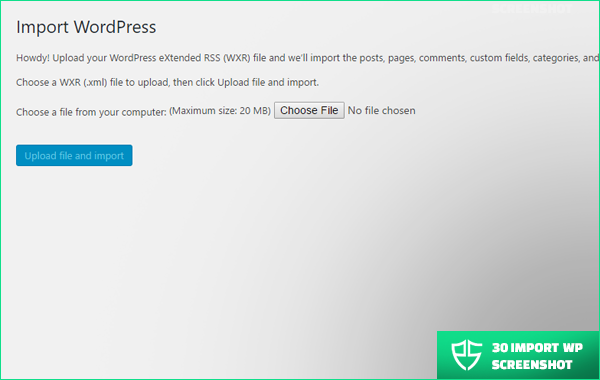 To import the WordPress content, please go the directory here Tools/ WordPress, install the tool, after you have done that correctly, please click the option “Run Importer”. Now head into your theme files downloaded from ThemeForest, go to the folder dummyData, find the file pixiebolt_wp_content.xml and choose it. After click upload & import.